This three part round is usually called "Waters of Babylon", to distinguish it from the "Rivers of Babylon". It is based on Psalm 137. 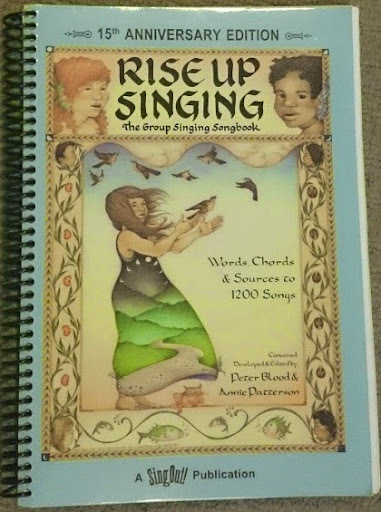 Rise Up Singing gives the 2nd line as "we sat down ... ", but most other sources refer to "we lay down ...". PowerPoint sllides for both options are provided below. The Cantaria folk song archive provides a downloadable audio (MP3) version of the song for learning purposes. And wept for thee Zion. This notation shown here is a little different to the version in RUS: as well as being in a different key, it has a more exaggerated timing. By the waters, the waters, of Babylon. We lay down and wept, and wept, for thee Zion. We remember, we remember, we remember thee Zion.